What would women wear in the winter 1940s-1950s? Discussion in 'PUBLIC Vintage Fashion Q & A' started by Rose Clarke, Sep 16, 2015. With winter creeping up fast here, I've gotten curious as to what would have been worn around the 1940s/1950ss, especially in the colder climates (Here it can get to -30°C pretty easily), I have a few summer dresses from that time (That have served me well) but they won't do much good once the cold weather comes. What sort of fabrics were common? I have a bunch of vintage patterns I could make something with. Any help would be appreciated! I have a wool crepe 1940s dress, calf length with long puff sleeves, a high round neck and if I remember correctly it is lined in cotton. It is exceedingly warm. You have to remember women tended to wear more underlayers than we do today, which helps with the cold. Think long line bras, slips and tights were practically compulsory. I also have a brushed cotton, or flannel, belted 1950s shirt dress which again is one of my winter staples. You don't get them today but you can get flannel material and suitable vintage patterns for it. 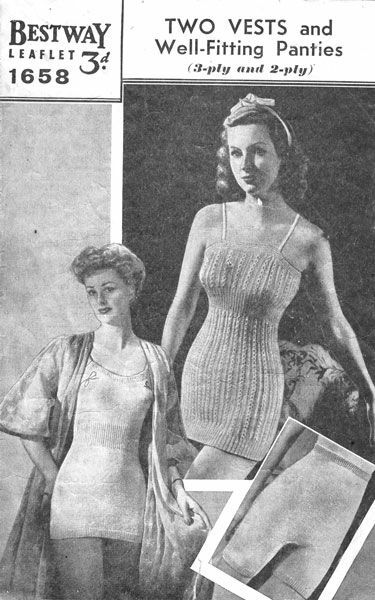 They did have fleece and a lot of 100% wool knitwear in the 40s/50s. Footwear wise - boots were sheepskin/wool fleece lined for winter and often taller than modern comparatives - designed to keep the wind and snow out. They could have thick crepe soles, which are good insulators. I work on a market outside every week and I can appreciate a thick soled boot or shoe can make the difference between being warm or cold for a day, as the temperature of the ground soaks through. Melanie is right about under layers. 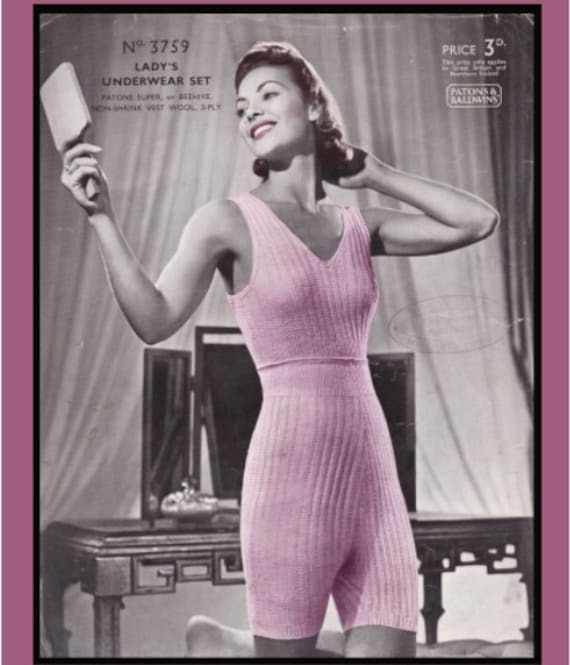 You see lots of knitting patterns for warm underwear - people would knit their own. Wool suits were popular...tweeds, some even had fur collars. And always wearing a hat was absolutely essential! A bare headed woman in the cool and cold weather would have been looked at as strange indeed. If you want your vintage outfit to look authentic, you will need a good hat. Even a basic, classic wool beret will do the job, which can go with dresses or slacks. But if you can, find yourself a few nice inexpensive (or expensive) hats in basic colors to complete your wardrobe.